Happy Tuesday everyone! I hope you all had a nice Easter. I worked all Easter weekend and am very happy to have today off. Today I’m reviewing a polish from the Zoya Pixie Dust collection. This product is similar to OPI Liquid Sand (which you can read about here). I was really excited to try this product after seeing it on other nail polish blogs, so when I spotted Chyna at Ulta a couple of weeks ago I snatched it up! Chyna is such a beautiful deep red color and as you can see from the picture it’s packed with glitter and sparkle. The picture was taken with flash so the actual color is a little darker than what’s shown. The Pixie Dust polish applies like a normal polish and dries to a textured matte finish. I loved the way this polish applied. The formula is smooth and I didn’t have any streaking to cover with a second coat. One coat. You can already see the texture! The second coat of polish was also really easy to apply. With OPI Liquid Sand, the texture made it a little difficult to apply the second coat. I felt like my brush was dragging on the nail and not spreading the polish evenly. I didn’t have this problem with the Pixie Dust. I waited five minutes between the first and second coat. Once the second coat was on, I was taken away! This polish is absolutely gorgeous. 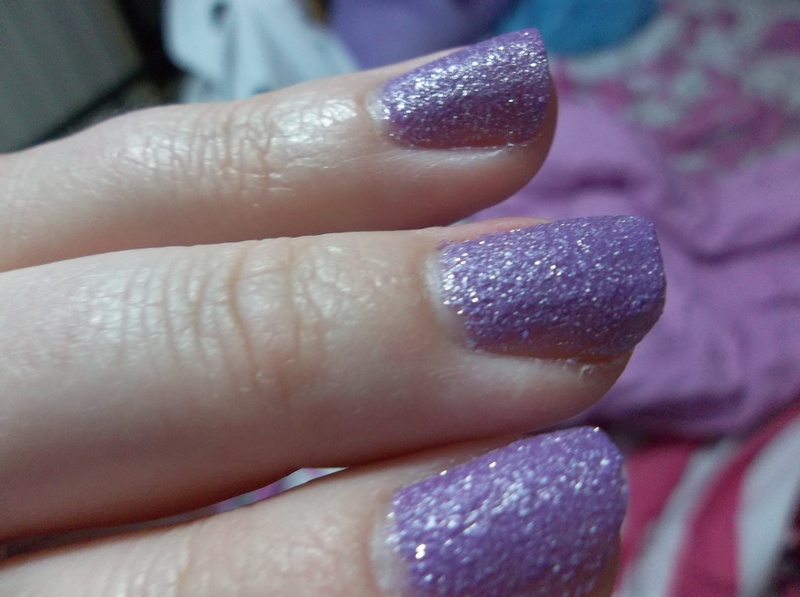 Although it’s a matte finish, the glitter gives it a beautiful, sparkly shine. I also really like the texture. It’s similar to Liquid Sand, but a little less like sandpaper. I absolutely love the Zoya Pixie Dust polish! I can’t say enough about the gorgeous color and sparkle and how easy it was to apply. Although it is similar to OPI Liquid Sand, the Zoya formula is a little better to work with in my opinion. Like Liquid Sand, more Pixie Dust colors will be available in future collections. You can get Pixie Dust on Zoya’s website or in Ulta stores for $9.00 each.